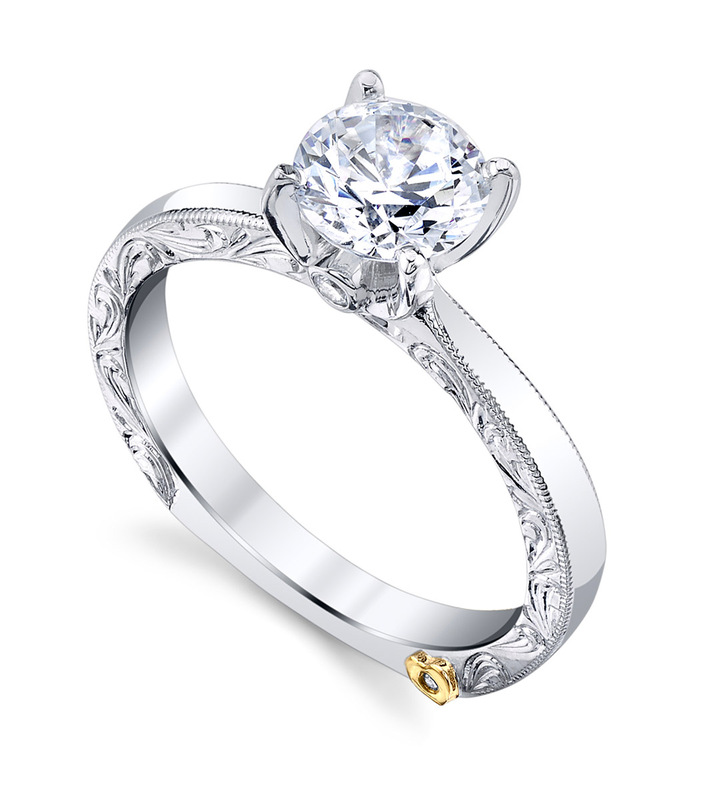 Unique floral olive branch details and a classic round diamond halo are the design elements that make the Bloom floral inspired engagement ring unique. 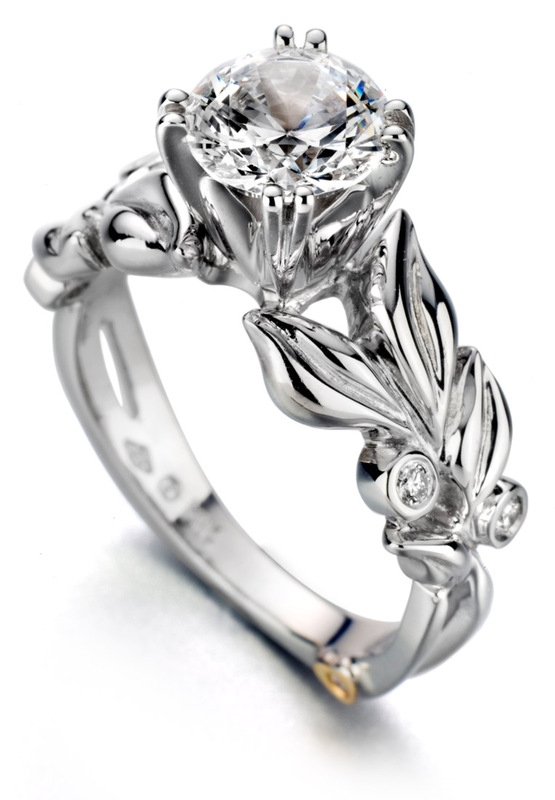 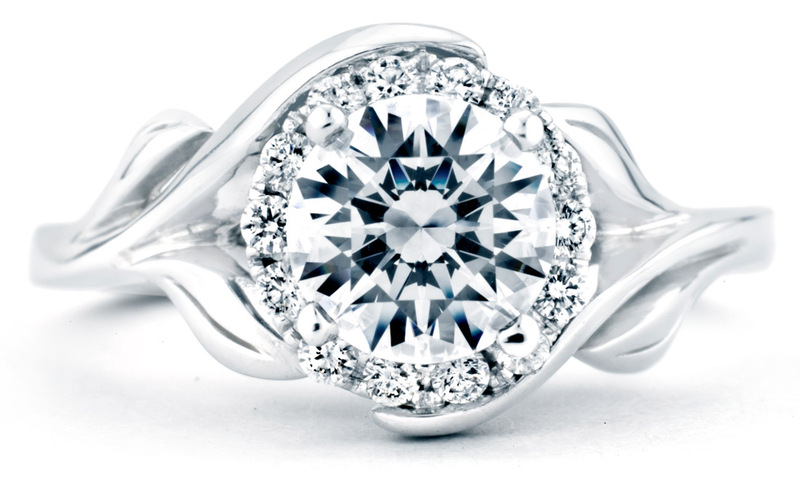 The curves of the leaves and branches wrap perfectly around the center diamond and halo is a beautiful display of art and symmetry. 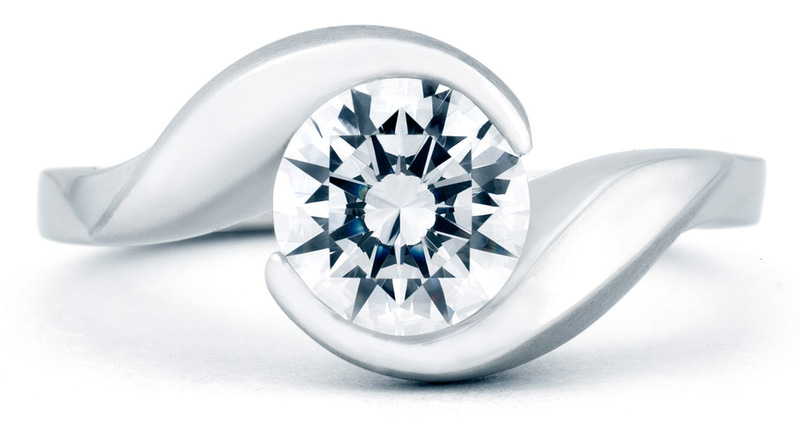 Look for the classic “secret heart” at the bottom of this European shank holding an additional surprise diamond. 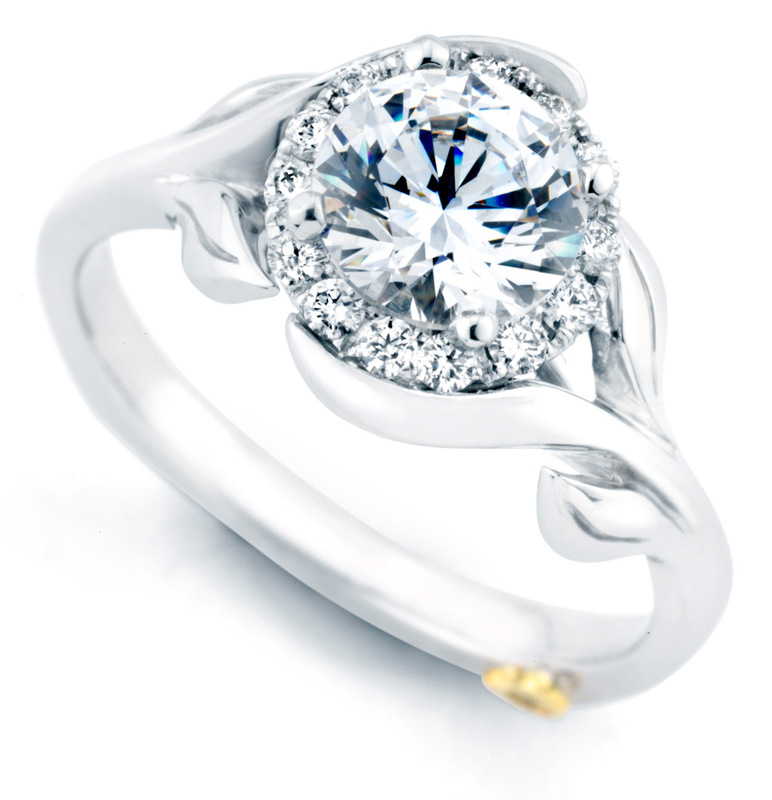 If your heart is in nature, this ring is your perfect design.